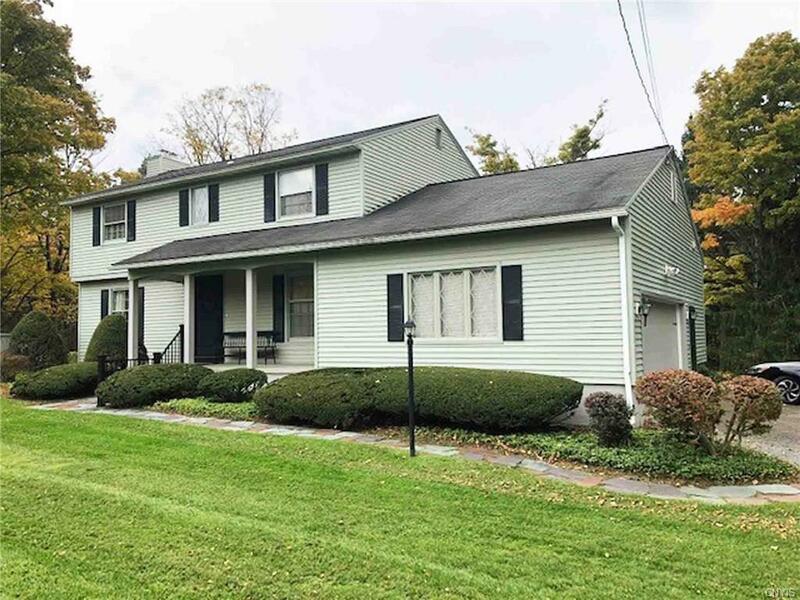 Spacious Colonial in a picturesque, 1 acre, convenient, "little bit country" location. Hardwood floors, 3 bedrooms, 2.5 baths. Light, bright, and open kitchen/family room. Living room with fireplace and floor to ceiling bookcases. Formal dining room. Open basement with rec room area, storage, and workshop. Attached 2 car garage. Covered front porch, back patio overlooks stream and private yard bordered by woods. New Hartford Schools, Herkimer County taxes. A one owner home, lovingly cared for with pride of ownership! Directions To Property: Midway Between Higby Road And The Parkway. Near Harts Drive.